Critiques of the Israeli statist narrative tend to spring from outside the Jewish homeland’s borders, with few notable exceptions. The United Nations’ repeated condemnation of human rights violations and war crime actions committed by Israeli Defense Forces (IDF) has provided a steady stream of criticism over the past decade. While individuals within Israel have been able to engage in limited critiques of the Zionist narrative, these critiques have largely been confined to academic spheres and far-left political organizations. Politicians, artists, and the general public have remained largely unexposed to counter-Zionist narrative in the mainstream. Contrastingly, Aviv Geffen, the Hebrew singer seemingly stuck between the dark lyrics of Marilyn Manson and the pop-centric tunes of Michael Jackson, has provided a new counter-Zionist space for Israel and its youth. The son of prominent journalist and poet Yehonatan Geffen, one of the first Israeli critics of the Zionist narrative regarding the Yom Kippur War, Aviv grew up without the overwhelming Zionist voices many of his contemporaries experienced. This is not to say that the musician was isolated from Zionist actors; Moshe Dayan, the famed Chief of Staff of the IDF, was Aviv’s uncle. Other members of the Geffen family have achieved national celebrity in artistic and political (mostly Zionist) fields. While technically discharged on medical grounds, Aviv refused service in the IDF on ideological grounds, a fact for which he receives much criticism from conservative Israelis. Despite this unpopular past however, the younger Geffen’s music has fared extraordinarily well in a country often considered a bastion of traditionalism and loyalty to the state. 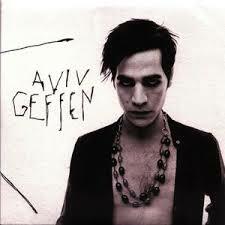 Going a step further than his refusal of meaningful military service, Geffen’s third album, Aviv Geffen III, took aim at the unfairness of the IDF, detailing the effects on a person who joins against their own will. While complicated, the cause and effect relationship of Geffen’s music on Israeli political opinions goes both ways. In part the contrarian’s popularity is due to rising levels of discontent with the statist narrative. Pappe also points out that “his continuing appeal does signify a certain change in local tolerance for nonconformist lyrics that may herald a wider acceptance of less nationalistic ideals among the youth.” To attribute Geffen’s popularity to changes in public opinion is most likely correct, yet downplaying such a change as insignificant is foolhardy. Indeed the effects of ‘wider acceptance of less nationalistic ideals’ will manifest themselves in forms other than support for a popular musician. For more on Aviv Geffen and the particular role he plays in Israeli political attitudes and pop-culture, see Aviv, the 2003 biopic on his rise to fame and continued popularity.